The UK's Office for National Statistics (ONS) has launched a specialist unit to provide insight on the economic effects of globalisation and multinational enterprises. The ONS is the executive office of the UK Statistics Authority, a non-ministerial department which reports directly to the UK Parliament. The new International Business Unit will work with multinationals to ensure that their activities are recorded accurately and attributed to the correct countries. It will focus on understanding the issues involved with the restructuring of multinationals, particularly where there is the potential for a significant impact on UK economic statistics. In addition, it will aim to better understand the scale and extent of global issues and the impact they have on data collected by ONS. The unit will also ensure there is consistency across all the survey and admin data collected for every multinational; while making sure the ONS asks the appropriate questions, tailored to each multinational's individual business model. Sarah Eaton, who has been appointed as Head of the new unit, comments: 'As the economy becomes more globalised, large multinational enterprises are having a pronounced effect on national economies. Policymakers and analysts will benefit from an enhanced understanding of the scale, location and impact of these business giants. 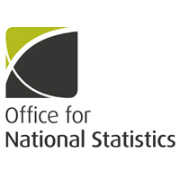 The commitment of ONS to this important area of research represents another step in the ongoing development of the UK's official statistics to fully reflect a rapidly changing economic order'.